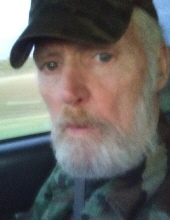 Charles Frank Davis, 72, of Trenton, MO, formerly of Alexandria, MO, died Friday, April, 12, 2019 at the Eastview Nursing Home in Trenton. He was born on February 14, 1947 in Keokuk, IA, the son of Charles M. and Alice M. Arthur Davis. Charles was a proud veteran of the United States Army. He enlisted on September 15, 1967 and received his Honorable Discharge on May 24, 1972. Most of Frank’s service time was spent in Vietnam where he served in the Combat Unit USARV 25th Infantry with the Division Tropic Lightning. He was wounded in combat and was awarded three Purple Hearts. He also received the Combat Infantry Badge, Parachutist Badge, the National Defense Service Medal, the Vietnam Service Medal and Vietnam Campaign Medal. He received multiple qualification badges for light weapon infantry. He had been employed at Foote Mineral in Keokuk. Frank enjoyed fishing and spending time at the river. He loved watching old western movies, The Andy Griffith Show and his favorite movies were Tombstone, What About Bob, Uncle Buck and Forrest Gump. Frank was very talented at playing the Jew’s Harp. His grandchildren were his pride and joy and he enjoyed playing his Jew’s Harp for them and taking them for rides around Alexandria. He was very proud of being from Alexandria and no matter where he lived, he always called it home. He is survived by two daughters, Nicole Davis and Tiffany Davis Baumle both of Keokuk and four brothers, John Davis of Wayland, Jim Davis and his wife Beverly of Kahoka, Bill Davis and wife Marilynn of Warsaw and Steve “Moe” Davis and his wife Connie of Keokuk, one sister, Mary Alice Davis of Keokuk, six grandchildren, Stephanie Feikert, Trent Rockelman (Chloe), Kelsee Dobler (Jacob), Brendon Baumle, Breckon Housewright and Brock Baumle, three great-grandchildren, Landyn Stark, Trevor Hall and Jaedyn Dobler and one on the way. He was preceded in death by his parents and one brother, Tom Davis. Graveside services with military rites was held at 1 p.m. Tuesday, April 16, at the Keokuk National Cemetery. Visitation was held Tuesday, April 16, from 11 am – 12:45 p.m. at the Vigen Memorial Home in Keokuk with the family meeting with friends at that time. "Email Address" would like to share the life celebration of Charles Frank Davis. Click on the "link" to go to share a favorite memory or leave a condolence message for the family.